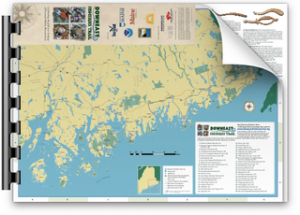 The first Mainer to use a lobster smack was Elisha Oakes from Harpswell in 1830, and the industry began in earnest. Smacks were invented by the Dutch, and consisted of a sailing vessel with a tank or well carved into the deck with holes to allow for the circulation of fresh sea water. Lobsters could be placed in the well and then transported live for greater distances. This opened up markets out of state in places like New York and Pennsylvania. 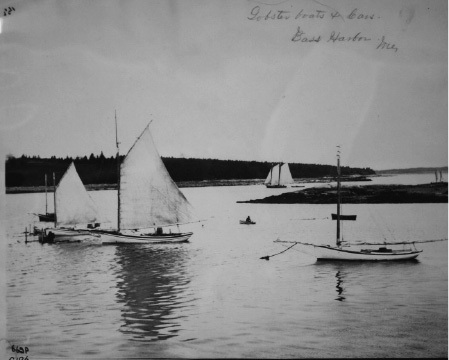 The first tidal lobster pound in Maine was on Vinylhaven in 1875. Hydraulic pot haulers were also introduced in the 1950s, as was the first wire lobster trap invented by James Knott in 1957 – though they didn’t become popular until the 1970s. The first regulation placed on the lobster fishery was in 1828, which banned those from outside of the state to fish in Maine waters. This was followed nearly 50 years later by the first conservation measure which prohibited the landing of egg-bearing lobsters.